May 11, 2014 marked not only Mother’s Day but also CycloFemme, an international women’s cycling day that unites women on wheels around the world. With the motto “Honor the past, celebrate the present, and empower the future of women’s cycling,” the day saw 303 rides registered in 25 countries from Rwanda to Japan. 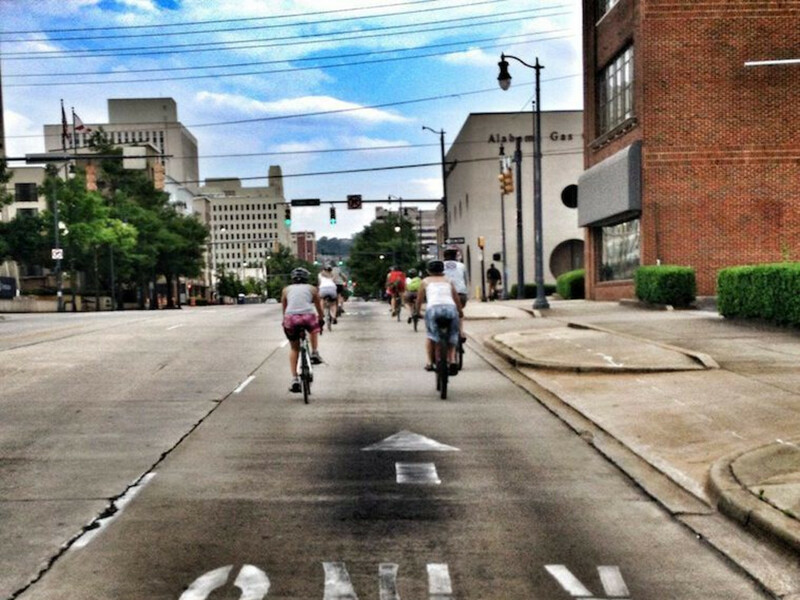 Alabama joined the global peloton with rides in Birmingham and Huntsville, led by two local women’s cycling groups. 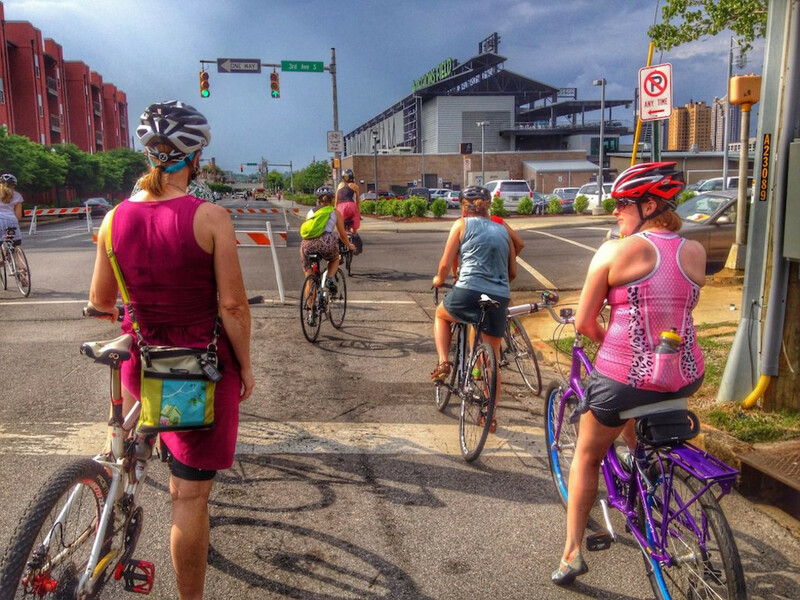 Birmingham’s Magic City Cycle Chix (MC3) hosted a dozen women on wheels of all stripes on a ladies’ edition of Le Tour de Ham, a social cruise through downtown Birmingham, past the new Regions Ballpark and through Railroad Park. Led by Vero Vanblaere, who co-leads the weekly co-ed Tour de Ham ride (Tuesdays at 6:15 p.m. from Silvertron Café), the Sunday afternoon ramble ended with a wine-and-cheese happy hour at Vanbalare’s Naked Art Gallery. (Full disclosure: the author of this piece is the founder of MC3, a 501(c) 3 nonprofit group). 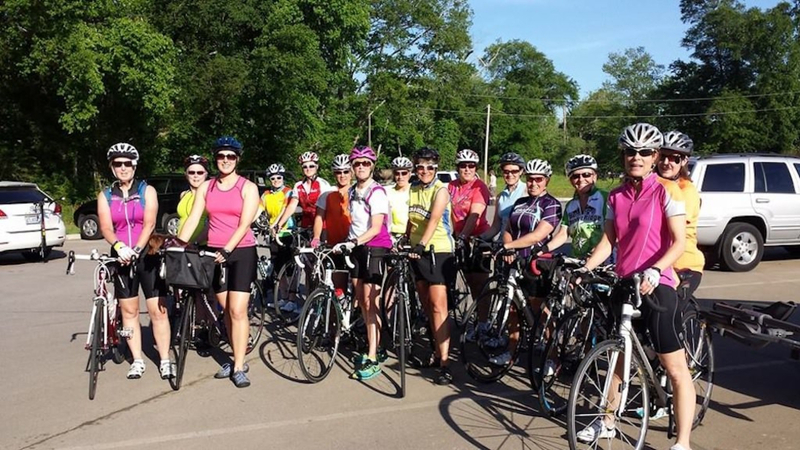 Meanwhile, in Huntsville, the Rocket City Cycle Belles , a sister group to MC3, opted for a faster-paced road ride in their brand-new RCCB cycling kits. Offering a morning and afternoon session, around a dozen RCCB members rode the route of the Rocket City marathon, from downtown Huntsville along back roads and the Greenway to Ditto Landing on the Tennessee River, completing a 30-mile round-trip ride with a coffee stop on the way back. Women-only rides and cycling groups are becoming a nationwide phenomenon, with clubs springing up organically from California to New York. Alabama is no exception, despite its ranking at No. 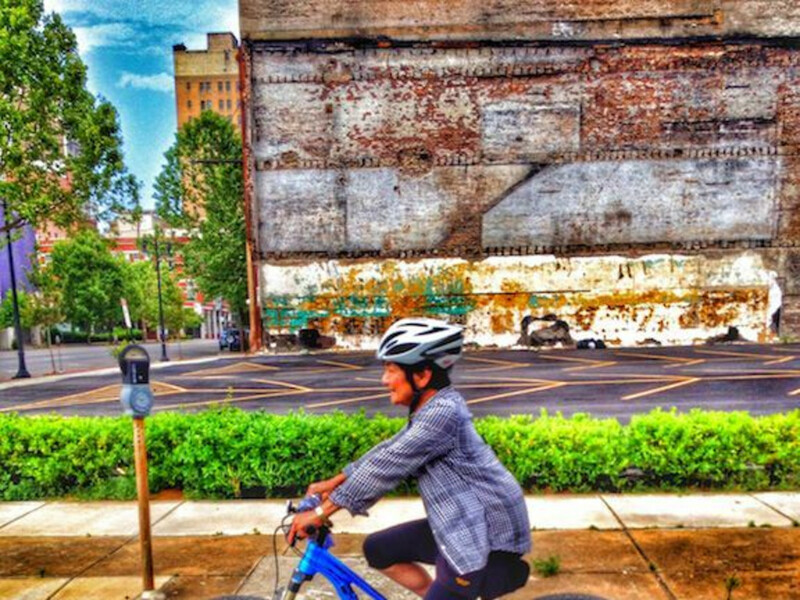 50 on the League of American Bicyclists’ list of bicycle-friendly states . MC3, founded in 2011, now counts more than 750 members. RCCB has attracted more than 500 members in just its first year. Both Alabama groups host women-only rides, bike-handling skills clinics, and mechanical seminars that teach basic bike-maintenance skills, such as how to change a flat tire, or how to clean and lube a drivetrain. A little education removes barriers that keep women from riding independently as much as they’d like. The events also give women a chance to meet other women who they can ride with. Is an all-women environment mandatory? Not necessarily, but founders and members say that it helps create a non-competitive setting that can be less intimidating for beginners, who are less likely to ask questions or try skills outside their comfort zone if skilled men are present. “If guys would have been here, I never would have tried that,” is a common refrain. 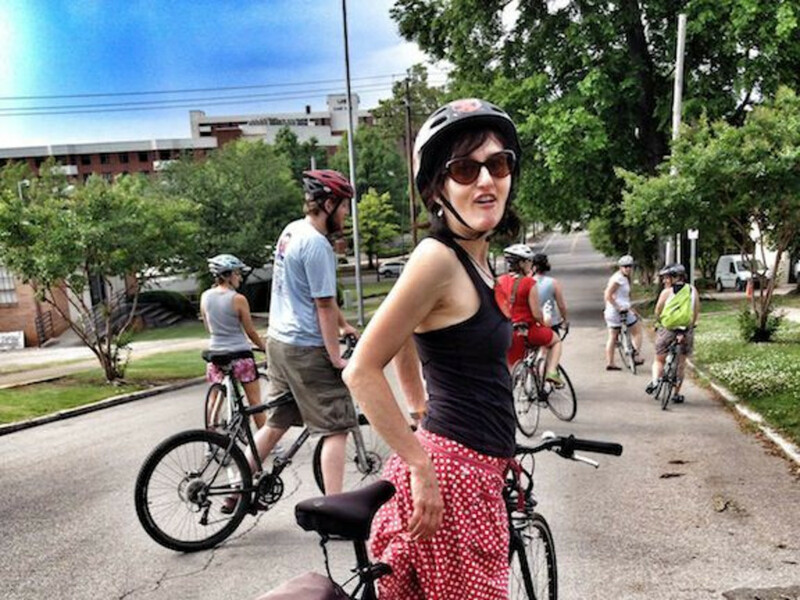 Plus, most women’s rides have a no-drop policy that ensures the group will never leave beginners behind. 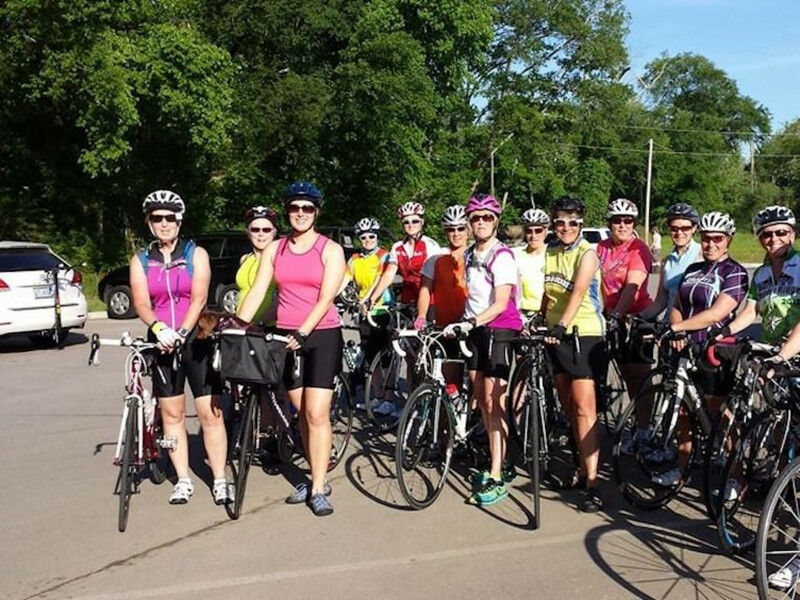 Both groups make cycling—road, mountain, commuting, or casual—accessible to women of all abilities and ages. They point to women like MC3 member, Joyce Cross, who's 73 years old, as proof that it’s never too late to start. Cross had never gone on a road ride before, but joined MC3’s CycloFemme ride on her mountain bike, wearing purple running shoes that matched her LivGiant full-suspension frame. “It was congenial and very inspiring to ride among such a powerful group of women,” said Cross, who learned to mountain-bike at 69 when she attended a mountain-bike clinic hosted by MC3 in 2011. 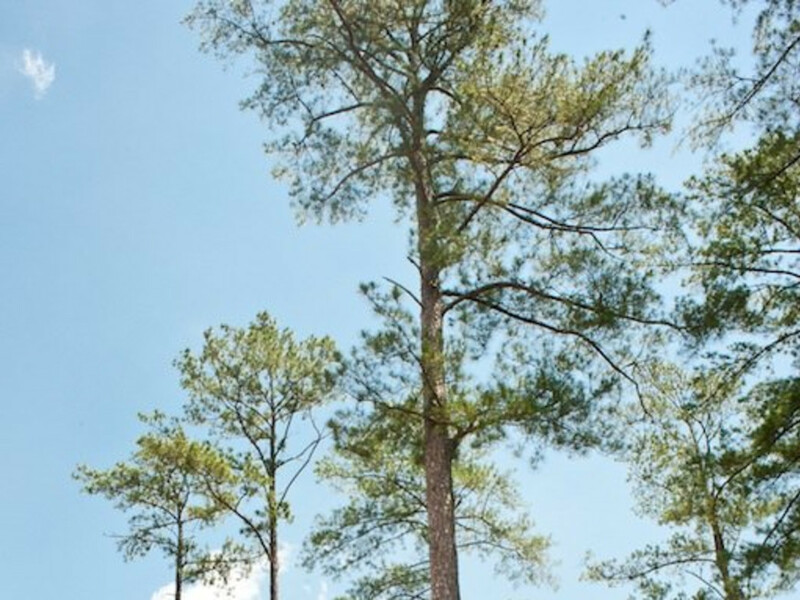 She now volunteers regularly for Trips for Kids rides at Oak Mountain State Park . Through these groups and rides, scores of women have gained the skills and confidence they needed to progress to riding alone or with co-ed groups, but many return for the camaraderie. CycloFemme co-founder Sarai Snyder, who runs a website called GirlBikeLove out of Boulder, Colorado , says she hears stories like this from women all over the country, and the world over. COMING SOON : MC3 is bringing AllRide coach Lindsey Voreis from Bend, Oregon to coach an intermediate/advanced women’s clinic series over Memorial Day weekend. Spots are limited but still available for a 1-day clinic at Anniston’s Coldwater Mountain and Birmingham’s Oak Mountain State Park. For more information, visit MagicCityCycleChix.com.